Introducing, The Gypsy Breed Connection!!! A High Quality, Full Color, Glossy, Publication filled with informative articles, youth, amateur and ambassador spotlights, beautiful advertisements, breeders directory, sale barn, stallion row, heartwarming stories of how this breed is touching lives across the country and so much more! This is the perfect way to reach your target audience in a High Quality, Professionally Designed format at a very affordable rate! 100% of all proceeds go directly to our non profit 501(C)(5), making them tax deductible for all businesses! and don't miss an issue! Enjoy everything Gypsy in this Beautiful, Full Color Publication! Ad space is selling quickly, reserve yours today! 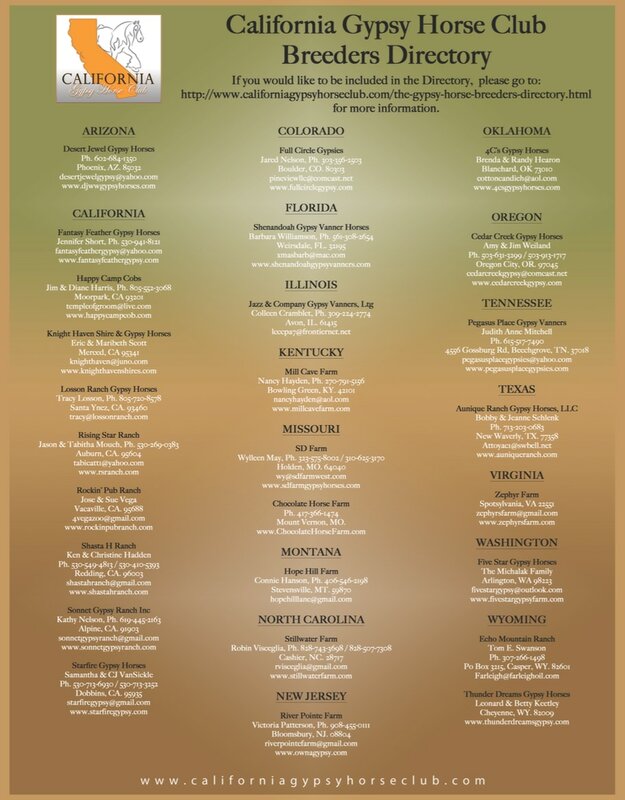 In each edition of The Gypsy Breed Connection we include a comprehensive listing of Gypsy Breeders across the country, making it easy for prospective buyers to locate farms in their area. This unique and simple format has proven very successful over the past few years and we are excited to launch our ALL NEW digital version this year!